Michael Montenegro is driven to put the products of his imagination into tangible, active forms. After he builds them—often in life-size form, with a rag-tag collage of materials—he becomes them, lives inside them, then delivers them to us with a zany vigor. In Montenegro’s hands, even the act of construction is an exercise in deception. His puppets seem thrown together in a rush, with a random mish-mash of material. Underneath the chaos, however, lies a careful purpose. As his friend and fellow puppet artist Blair Thomas, who heads Blair Thomas & Company, puts it, Montenegro makes this stuff “that looks like a pile of junk until you pick it up and it comes to life.” A tangle of wires and cutlery can become a face, the finger hole in a pair of scissors forming an eye. Old paint rags become the puppet’s skin or the palm of a hand. 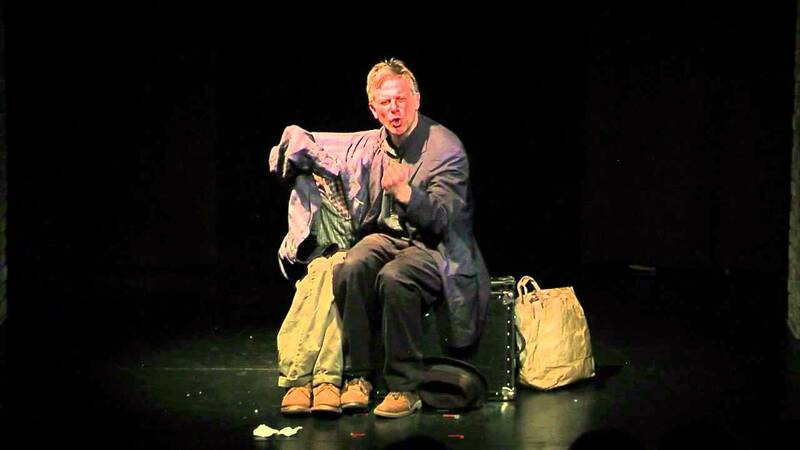 Montenegro, an astoundingly young-looking 63, not only builds his pieces; he also writes the short-form plays that he performs through Theatre Zarko, a traveling operation he runs from his home in Evanston, Ill. He says the work serves as a buffer to a technological world. “I create puppets,” he says, “to say something that can only be said by using these strange figures. We have lost a connection with this primitive, atavistic world, and I think to our great disadvantage.” While that might sound depressing, it isn’t to Montenegro. “If the grid goes down, there’s always puppet theater,” he says. 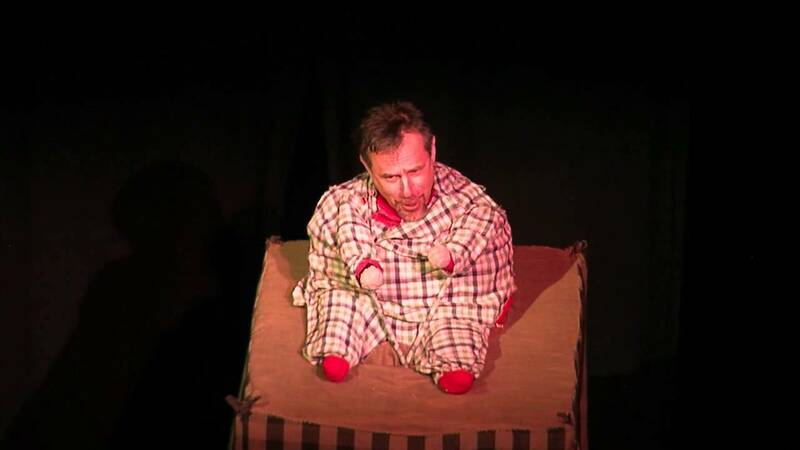 Montenegro cracks up the audience with this rendition of a cantankerous 3-year-old. But do not fear. Montenegro can also be flat-out hilarious, as you will quickly see from several of the videos featured in our sidebars, particularly “Meet Baby Gigi” and “Old Saldenia.” Such a wild range might seem at odds with Montenegro’s shy character—until one considers the nature of his art form. What could be a more perfect home for an introvert than a world of masks? Montenegro works out of his Evanston, Ill., garage—a beautiful shamble of rusted gears, twigs of wire, strands of black fishing line, strips of old cloth, rows of books and trunks. Complete heads with bizarre expressions sit on various boxes and shelves. Here and there lie hands of clay and carved wood. On one table, there’s a small dog puppet fashioned from strips of an old undershirt. Suspended from frames lining the walls are impossibly intricate “maquettes” (small prototypes of puppets still in gestation), which are woven from unlikely debris: an orange peel, screws, forks, roots, a few stones. I asked him whether the idea of the puppet and its design arrive first, or if the story creates the puppet. As he answers my questions his eyes close, and stay that way for nearly 10 minutes. He says the spark that will become a puppet comes from minutia—bits of an overheard conversation, or an elegant movement. Construction begins with a lightweight wire armature of links, hooks and coils to which he applies strips of butcher paper dipped into a mix of flour and water seasoned with salt (to prevent nibbling by mice). Montenegro also is a painter and a sculptor. When he builds a puppet’s features—from cloth or paper (applied wet, through papier mache)—the angles, indents and coloring may look haphazard, but each one is formed with precision, according to how stage lights will fall on the puppet’s face. And finally, Montenegro’s rendition of the classic, grade-school, mama’s boy dork. The spark that will become a puppet comes from minutia—bits of an overheard conversation, or an elegant movement. Its angles, indents and coloring may look haphazard, but each is carefully formed according to how stage lights will fall on the puppet’s face. Before immersing himself in puppet theater, Montenegro became a street performer, in Maryland, Massachussetts, and California. During college he studied theater, becoming an actor and mime artist, fueled by the work of Charlie Chaplin and France’s Marcel Marceau. He also took interest in European clowning, another extremely physical performance discipline. From there, his influence became ever more eclectic: the writings of Walt Whitman and Charles Baudelaire; the films of Wim Wenders and Satantango; the absurdist, avant-garde puppet work of Polish director and performer Tadeusz Kantor; and photographers such as the Brazilian Sebastiao Salgado, known for his documentarian work on social issues. He had plenty of tradition to choose from. The first puppet play ever mentioned was in 355 B.C. by Plato in chapter VII of The Republic. Many centuries later, during the Middle Ages, monks and priests spread Christian doctrine by puppeteering with Virgin Mary dolls, thus the word marionette. More recently, Frederico Garcia Lorca penned a play in the style of Punch and Judy, the famously crude slapstick puppet team from Britain. 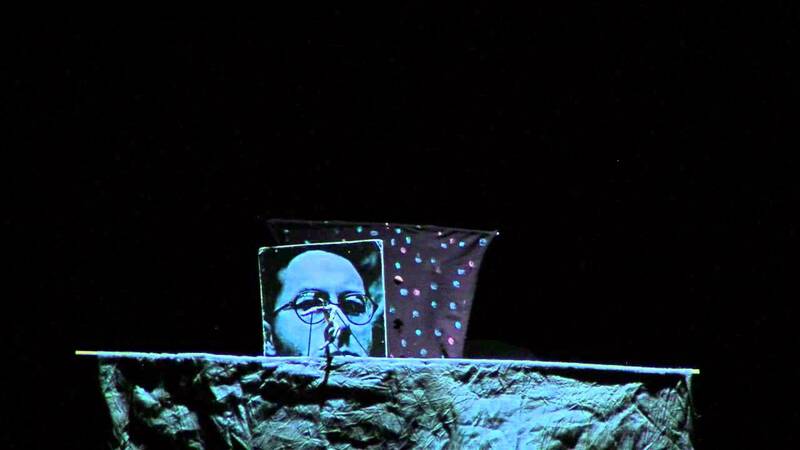 Ingmar Bergman and William Kentridge later explored puppetry in both film and theater, as did the modern dramatist Paula Vogel in her 2003 play, “The Long Christmas Ride Back Home.” Puppets also have been the subjects of experimentation by well-known painters, such as Paul Klee, Alexander Calder, and Oskar Shlemmer. Sicily, once a hub of epic marionette productions, still maintains La Opera de Pupi (The Opera of the Puppets). Sicilian puppetry has long been central to the region’s institution of Sicilian Folk Art, with roots dating back to the 15th Century. The tradition involves large, bronze-armored marionettes staging historic, violent battles–sword fights and jousts—against the Normans, the Saracens, and dragons; some are heroes drawn from the Crusades. Italian puppets can be a couple of feet tall, and are usually controlled by hefty metal rods, which exhaust the puppeteers. Hilarious, energetic shows can be regularly found in cities like Palermo; after a performance, it’s not uncommon to see the puppeteer emerge for a bow, panting and drenched in sweat. While this video is a little long (17:39 minutes), it is a masterpiece of performance art – perhaps one of the more complex depictions of a puppeteer’s relationship with his puppet ever done. It’s also wonderfully funny. 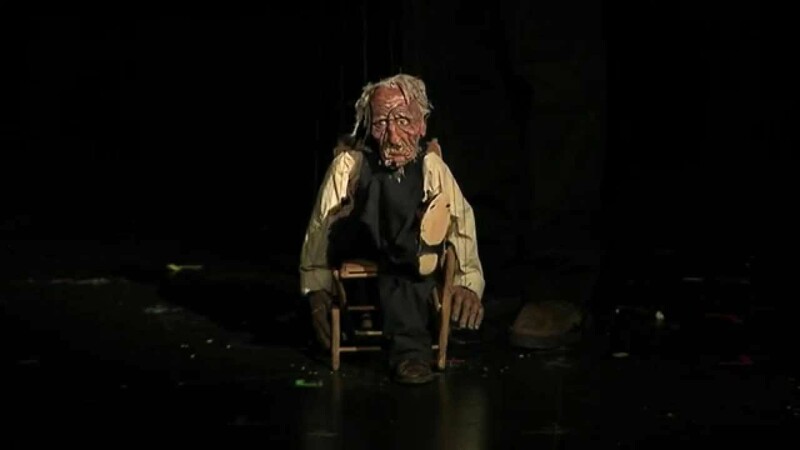 If he could, Montenegro would take puppetry out of the theater and onto the cityscape, bringing it to the masses. He imagines performances on a Chicago beach at dusk, the lake its backdrop, believing that the time for puppet theater has arrived. In the past thirty years, there have been signs that puppetry has come out from the underground, fueled by Jim Hensen’s Muppets and Peter Schumann’s Bread & Puppet Theater in Vermont. Traditional theater companies are starting to integrate puppets into their work. Earlier this year, Chicago hosted its inaugural Chicago International Puppet Theater Festival in which puppet artists from around the world meet and perform. In some communities, even puppet weddings are becoming the rage. 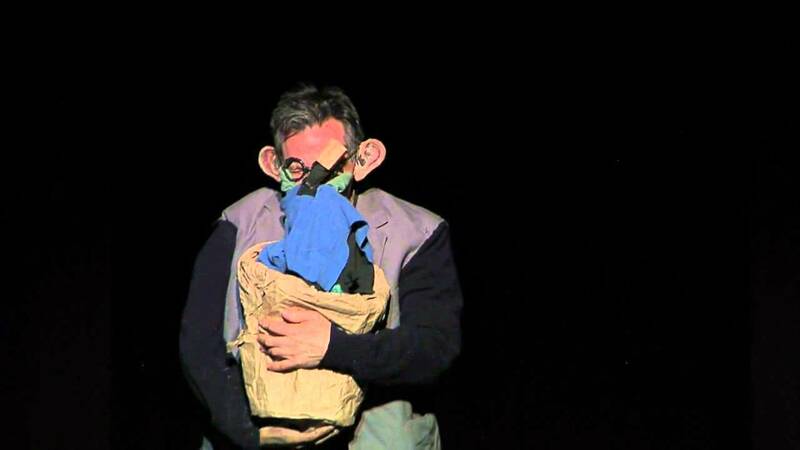 In this short video (only 3:36 minutes long), we revisit a few snippets of Montenegro’s performances, and watch him discuss—and, at times, seemingly re-live—his unusual approach to art and puppetry. © 2019 Lori Rotenberk, all rights reserved. Under exclusive license to Craftsmanship, LLC. Unauthorized copying or republication of this article is prohibited by law.